Make a drink that all your baby shower guests can enjoy. 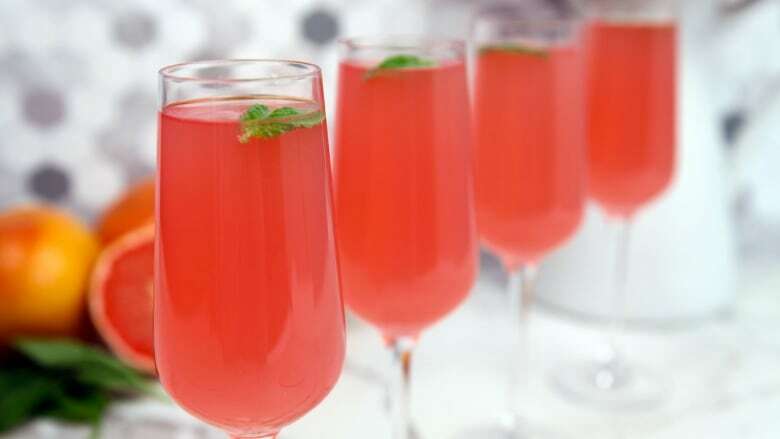 No one will miss the alcohol in this delicious mocktail. In a small saucepan, heat sugar and water until dissolved. Add fresh basil and let steep for 15 minutes. Strain out basil and transfer syrup to an airtight container until ready to use. Add sliced and juiced grapefruit, ginger beer, simple syrup and sparkling water to a jug or punch bowl with ice. Garnish with more fresh basil leaves and grapefruit peels if desired.